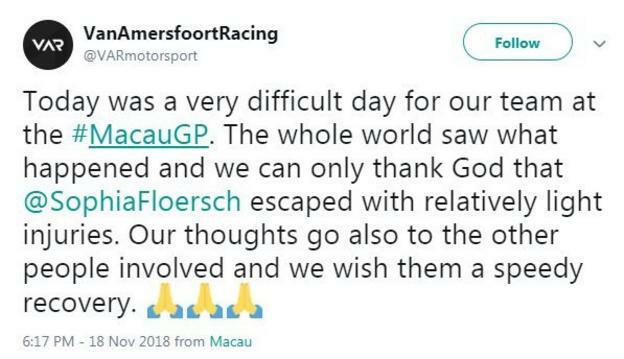 Formula 3 driver Sophia Florsch had an “angel on her shoulder” to survive her high-speed crash at the Macau Grand Prix, says her team principal. German Florsch, 17, fractured her spine after losing control of her car, which flew through the air before smashing into a fence and photographers’ bunker. “It was nearly a rocket. Surviving was incredible,” said Frits van Amersfoort, the owner of Van Amersfoort Racing. Florsch posted on social media on Sunday to say she will have surgery on her broken vertebrae on Monday. She hit the back of Jehan Daruvala’s car on lap four and then launched over the inside kerb into the car of Sho Tsuboi. That impact catapulted her car over the barrier and into an area occupied by marshals and photographers. Van Amersfoot described the 20 minutes that followed as “one of the worst of my life”. 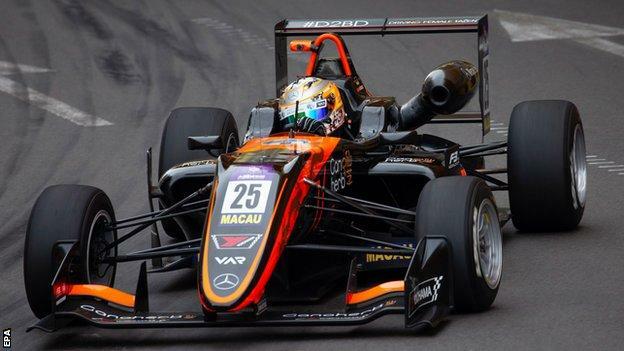 “We got some information from social media while we were waiting at the door of race control, but when you look at those images it is heartbreaking so we were thinking of the worst,” the Dutchman told BBC Radio 5 live. 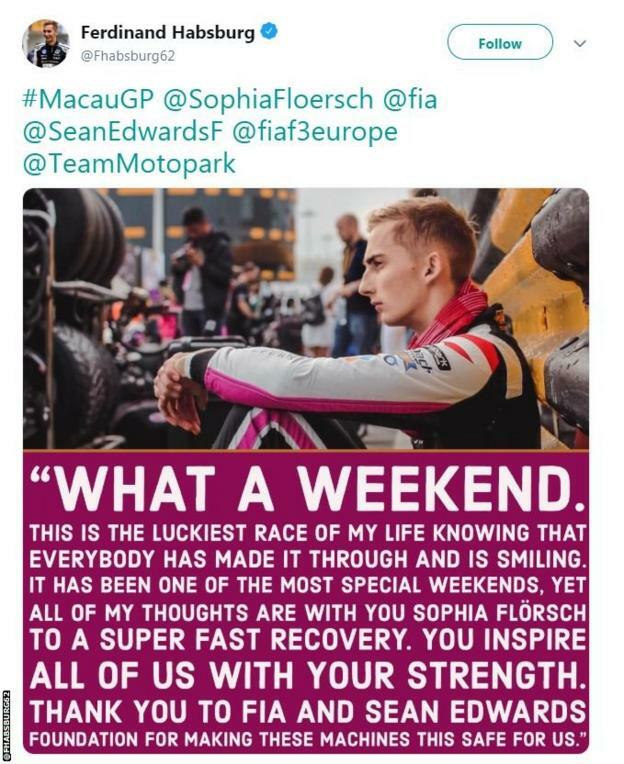 “It took quite a long time before the race control could say anything about the health of Sophia – everyone can imagine that’s not a nice thing to have. “I don’t think I’ve ever seen anything like this. I haven’t seen all accidents in motorsport but this was surely one of the worst I’ve ever seen. 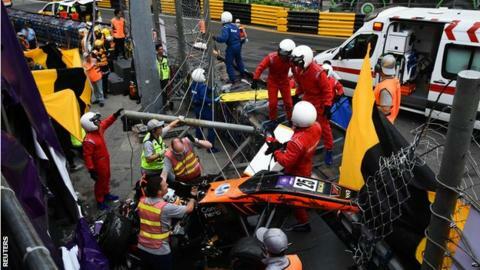 Jean Todt, the president of motorsport’s governing body the FIA, has said Sunday’s crash – which came a year after British motorcyclist Daniel Hegarty became the eighth rider to be killed on the circuit since 1973 – will be investigated. The race in China was immediately red-flagged before restarting an hour later.